Download "37-7498. 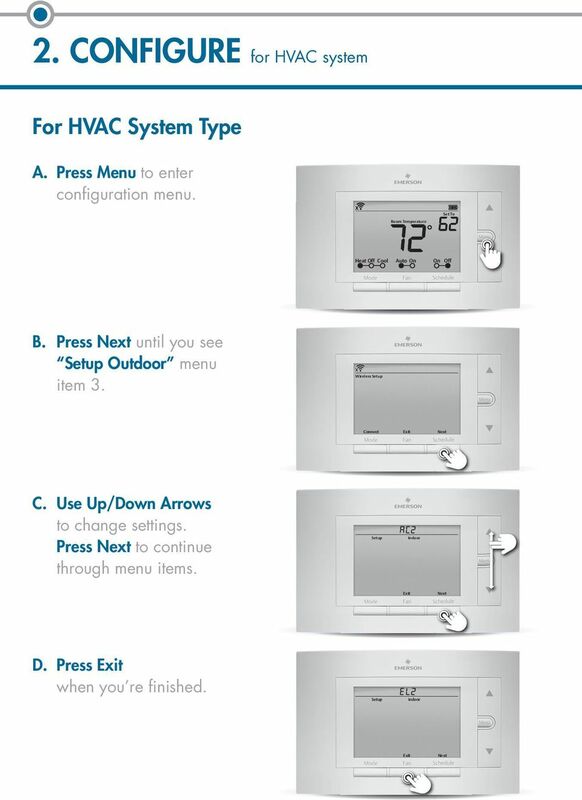 Professional Contractor INSTALLATION GUIDE"
4 For Heat Pump Systems Terminal Cross Reference Old Sensi Heat Pump thermostat thermostat RC RC* Power for cooling RH, R RH* Power for heating C, X, B** C Common wire W, W1, W/E, W/E 1st stage aux/ Aux/E, E emergency heat W2*** W2 2nd stage aux/ emergency heat Y, Y1 Y 1st stage compressor Y2 Y2 2nd stage compressor G G Fan O, B**, O/B O/B Heat pump changeover valve L L Heat pump diagnostic * If the old thermostat has separate RC and RH wires, clip the RC/RH jumper on the back of the thermostat. 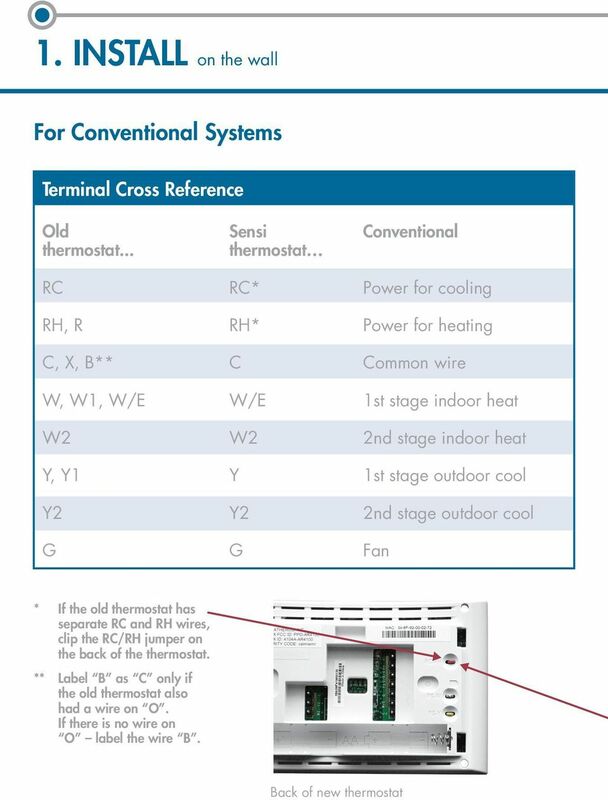 ** Label B as C only if the old thermostat also had a wire on O. If there is no wire on O label the wire B. 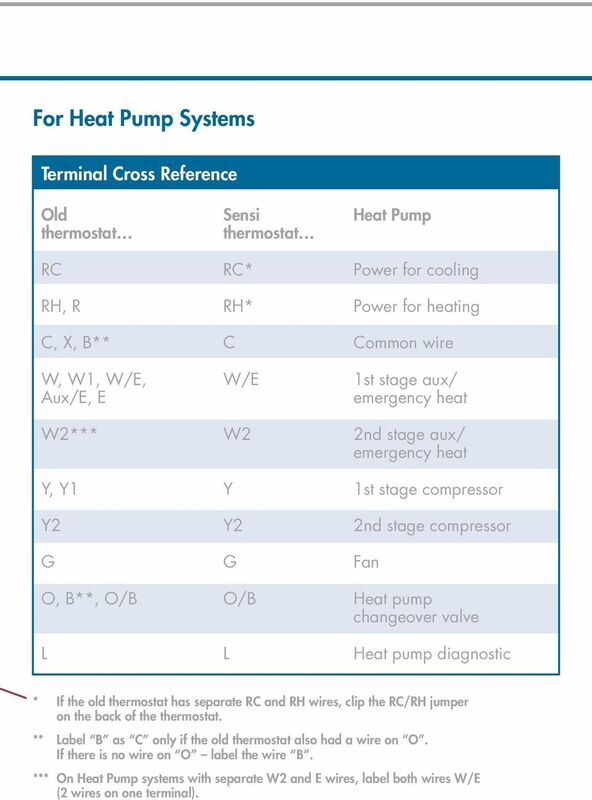 *** On Heat Pump systems with separate W2 and E wires, label both wires W/E (2 wires on one terminal). 7 3. 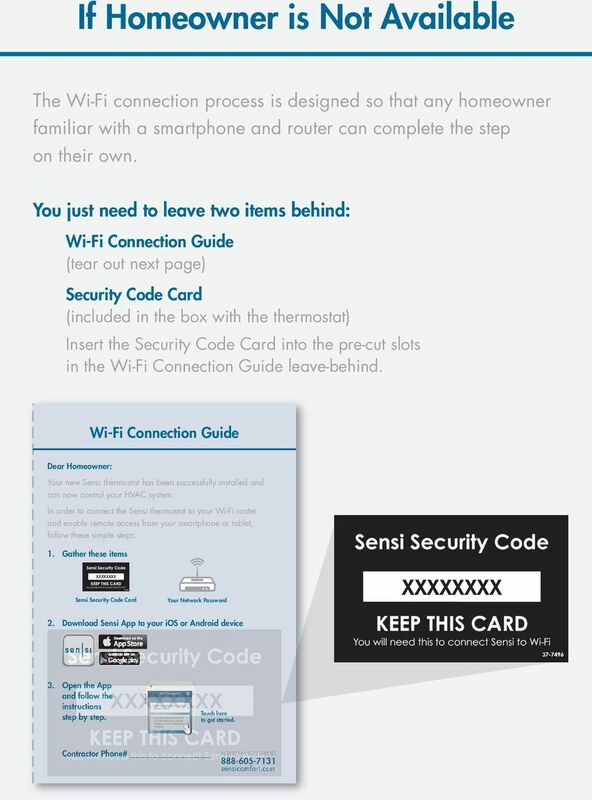 CONNECT to Wi-Fi Before You Begin In order to connect to the homeowner s Wi-Fi, you will need the following: Access to the homeowner s smartphone. 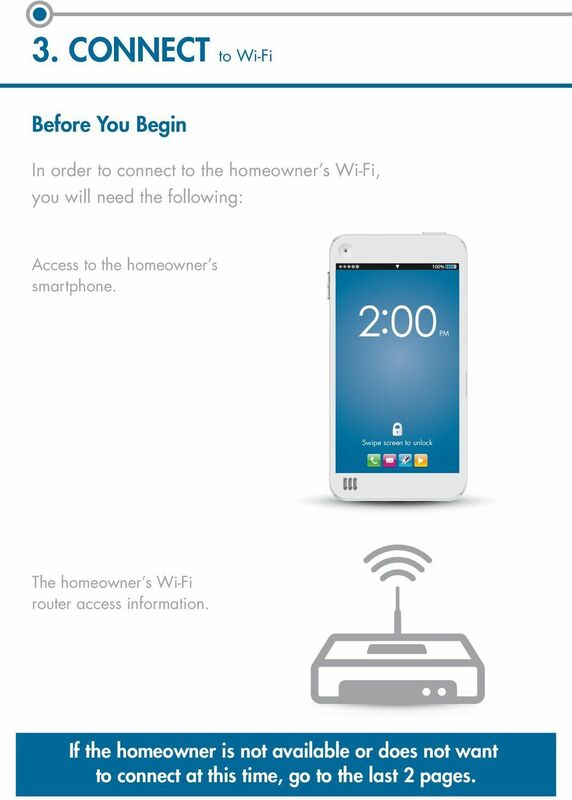 PM Swipe screen to unlock The homeowner s Wi-Fi router access information. 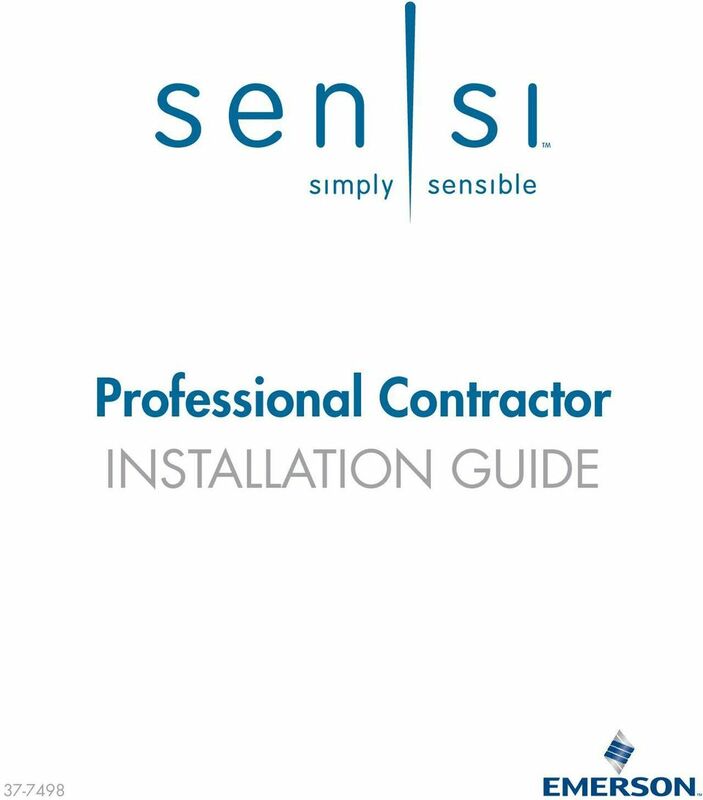 If the homeowner is not available or does not want to connect at this time, go to the last 2 pages. 8 If Homeowner is Available... Have the homeowner do the following: 1. 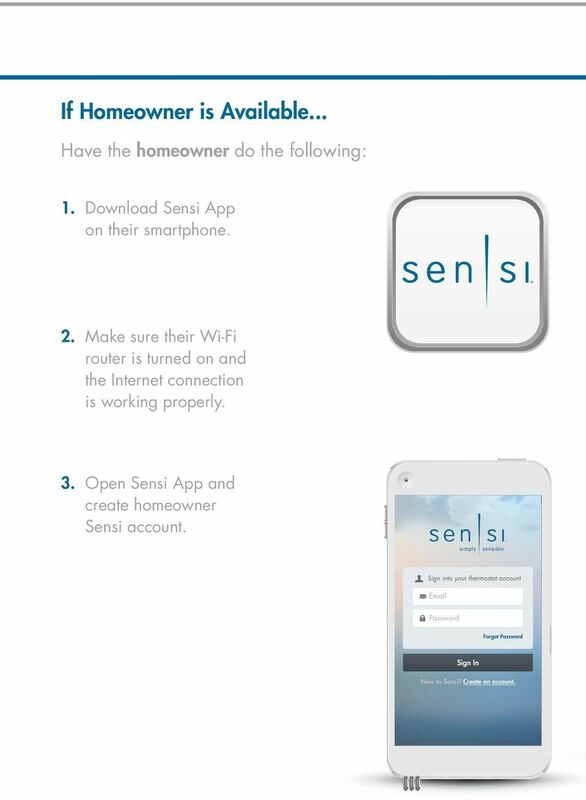 Download Sensi App on their smartphone. 2. Make sure their Wi-Fi router is turned on and the Internet connection is working properly. 3. 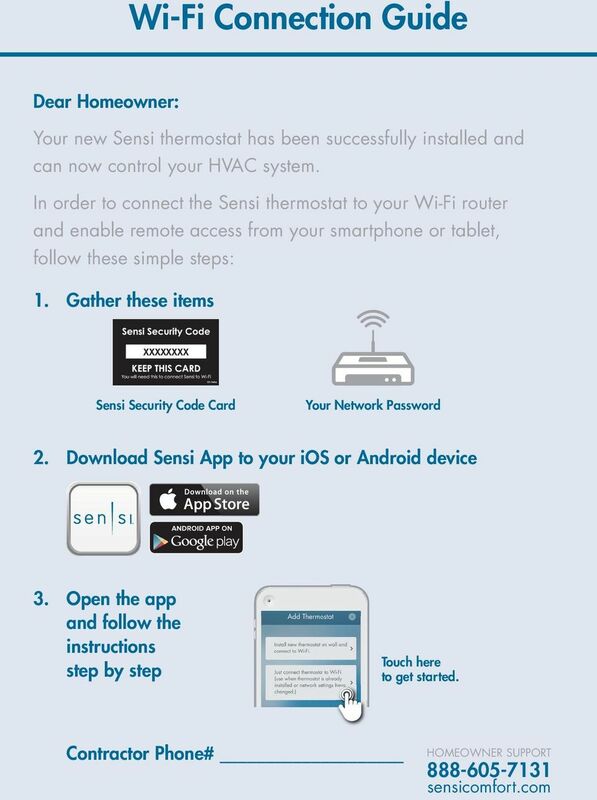 Open Sensi App and create homeowner Sensi account. 9 4. 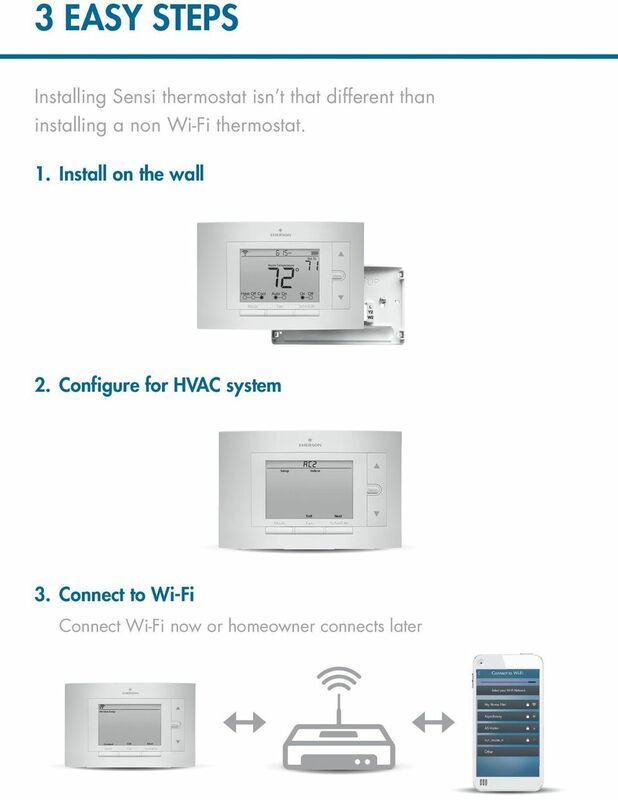 On Add Thermostat screen, select Just Connect Wi-Fi. 5. Follow the steps in the app to establish a Wi-Fi connection. 6. 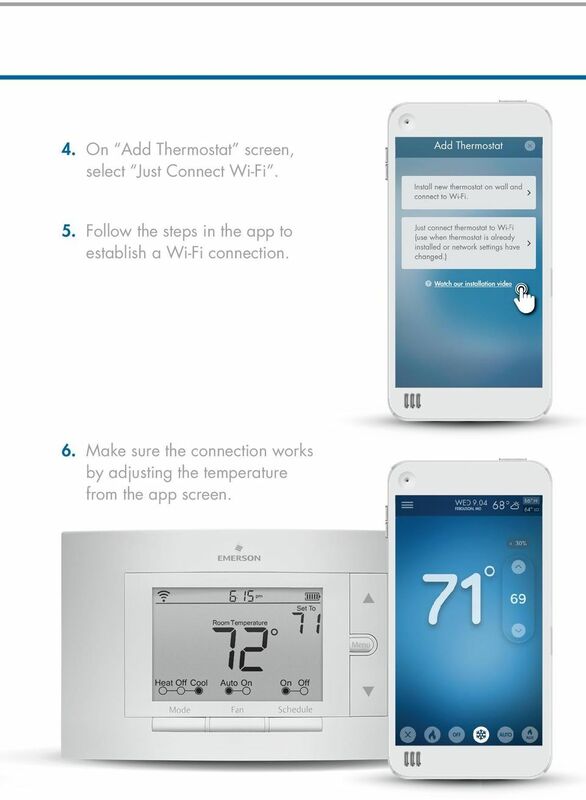 Make sure the connection works by adjusting the temperature from the app screen. 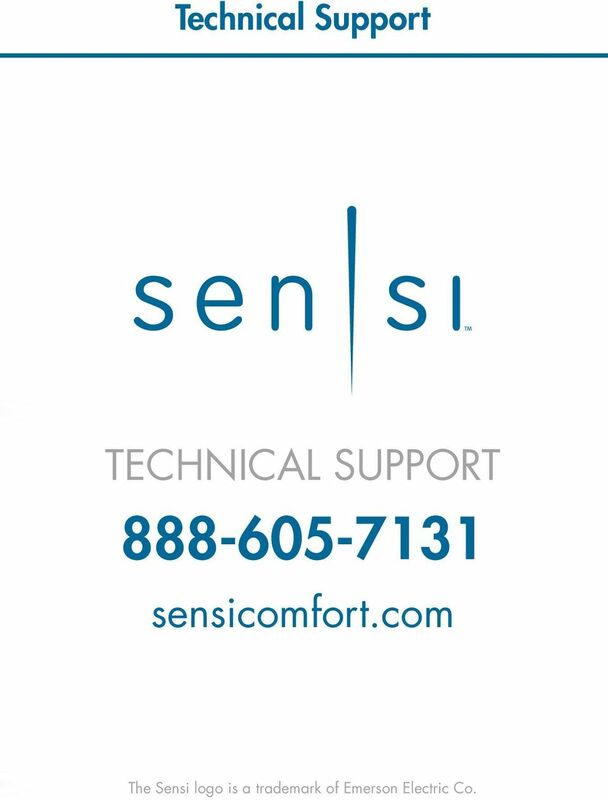 10 Technical Support TECHNICAL SUPPORT sensicomfort.com The Sensi logo is a trademark of Emerson Electric Co.
Alerts and Delta T Diagnostics with the Prestige 2.0 IAQ Thermostat MOUNTING LOCATIONS Refer to the guidelines below and Fig. 1 5 for mounting locations of the Discharge and Return Air Temperature Sensors. RedLINK Wireless Comfort Systems. RedLINK Connects. RedLINK Wireless Comfort Systems RedLINK Connects. 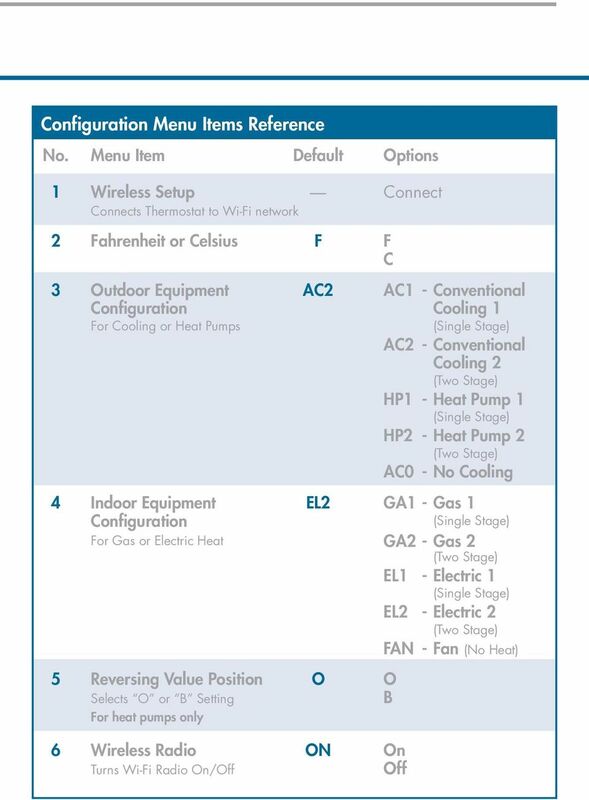 TM THERMOSTATS ZONING AIR CLEANERS HUMIDIFIERS DEHUMIDIFIERS UV SYSTEMS VENTILATION WATER SOLUTIONS wireless TM Your Customers Are Connected. Wireless.